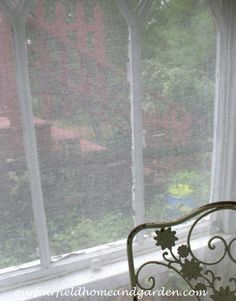 Home » DIY home and garden craft projects » Salvaged ~ Build A Shutter Arbor! 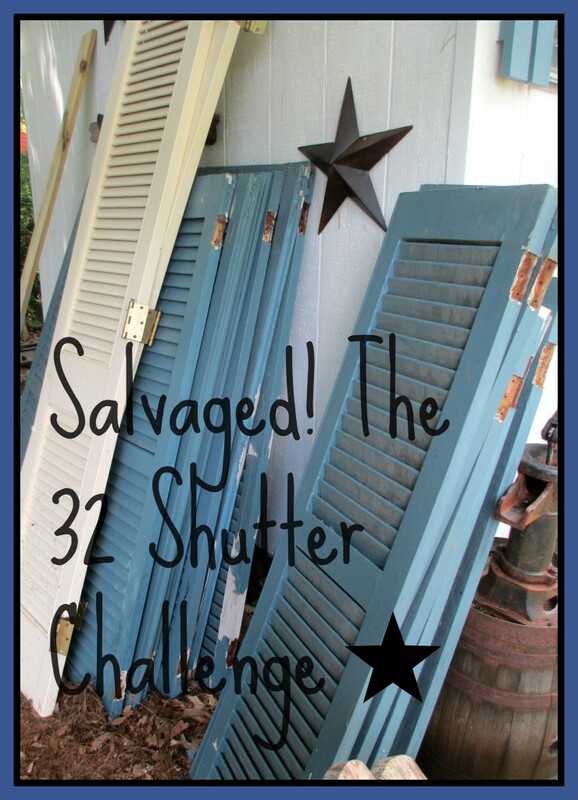 Salvaged ~ Build A Shutter Arbor! 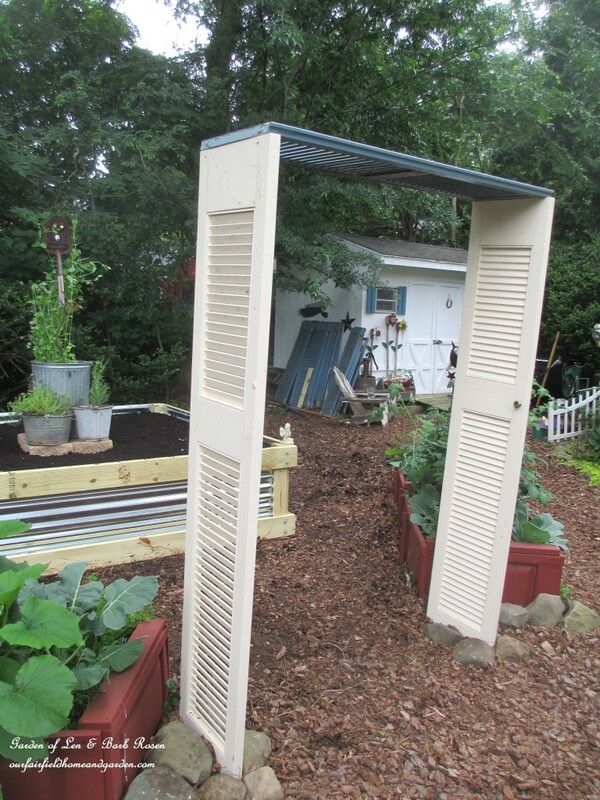 If you can use an electric drill and a screwdriver, you can make your own garden arbor out of salvaged shutters. 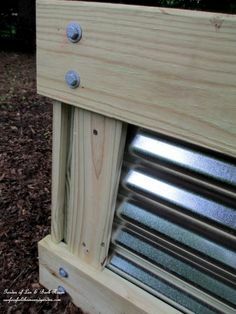 Lay the pieces out on the ground and attach one shutter on to the tops of two others. 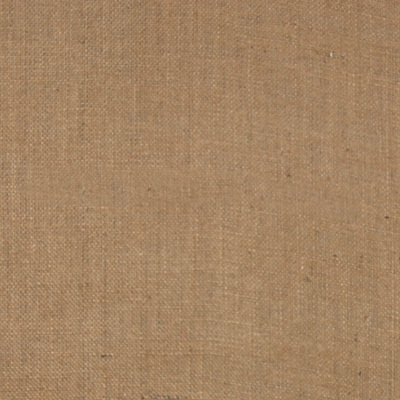 A strip of pressured treated wood was added for extra stability on the bottom of the abor. This was buried so you don’t see it at all! 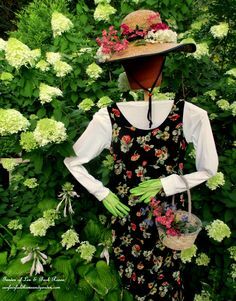 A shovel and a pitchfork, picked up at garage sales, were added as bracing and accents. 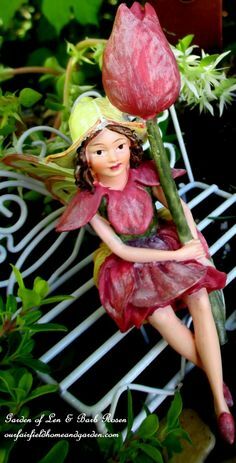 Now it was time to paint! 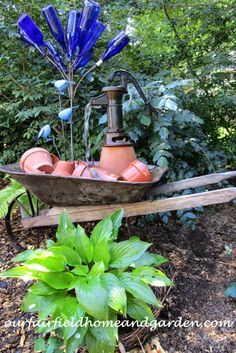 Garden Tools were added as bracing and accents! Painting the Shutter Arbor took longer than it did to make it! Because two of the shutters were white, two coats of paint were necessary. 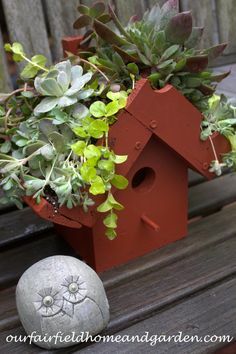 There was a handy little door knob on the shutter arbor and I just happened to have a half basket that was made for it! 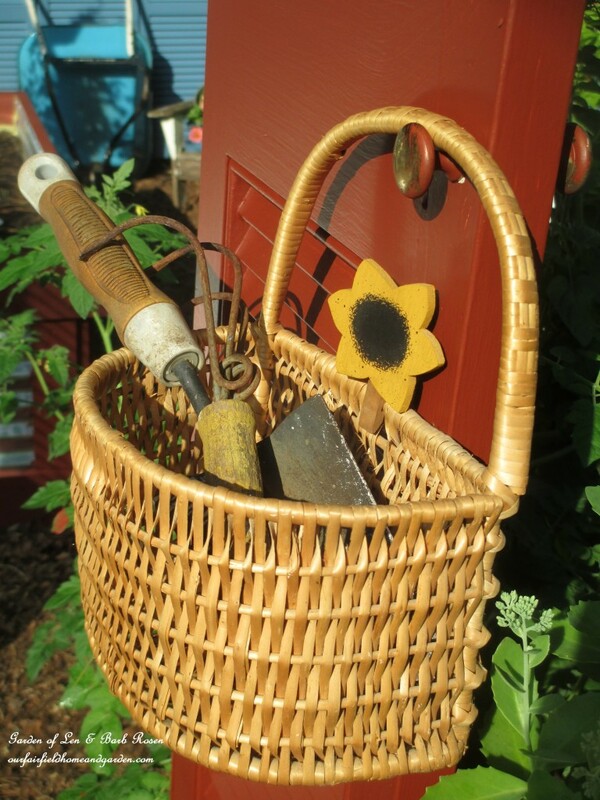 Voila’ a handy hand tool basket at the ready for when I tend the garden. Tool Basket on the Shutter Arbor! 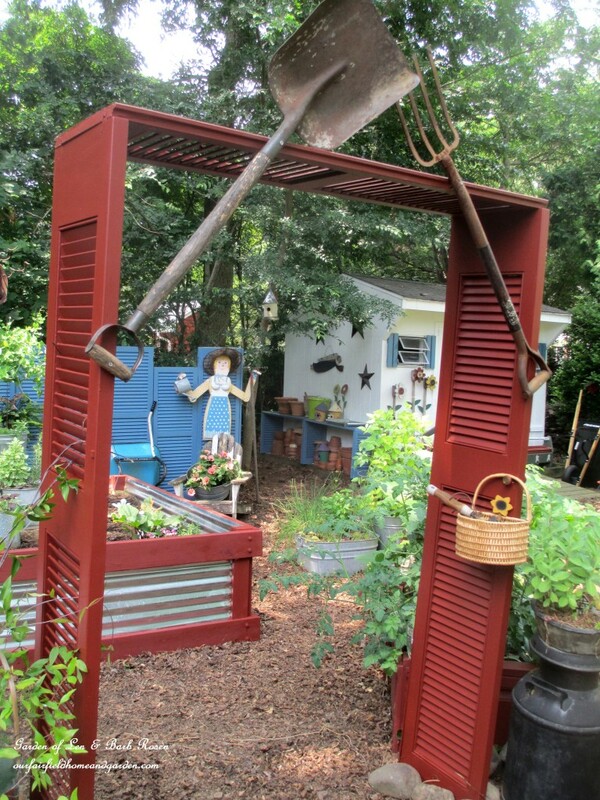 I love all the imaginative creations you made from salvaged shutters, but this arbor is my favorite! 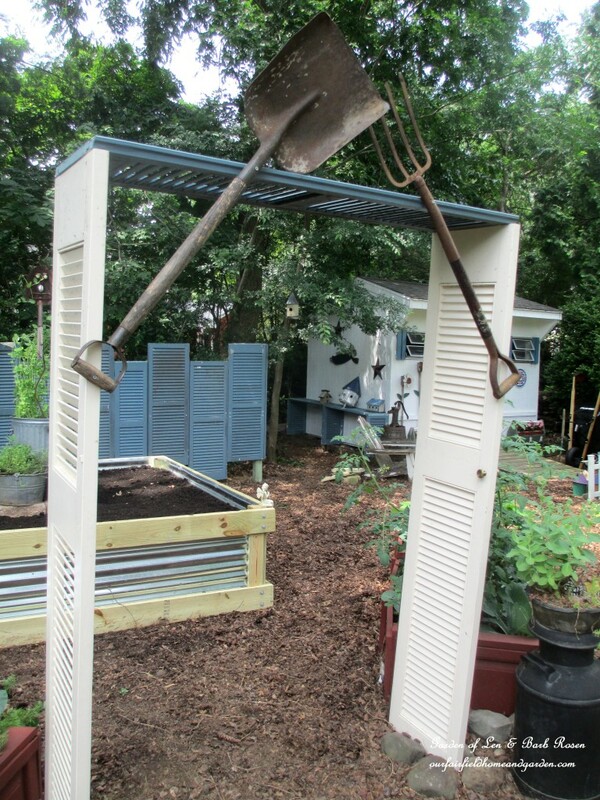 Repurposing the shovel and pitchfork into this project was a fantastic idea! 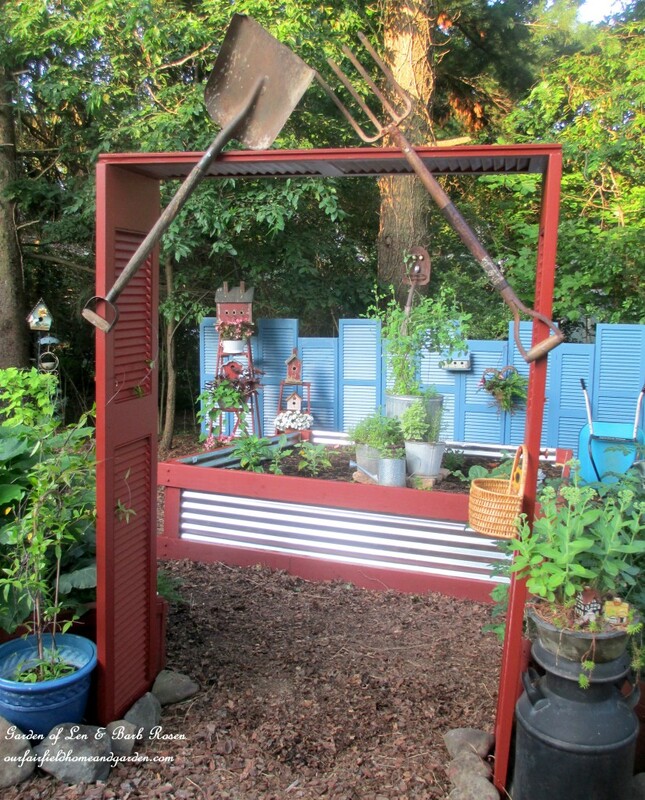 Happy to hear you enjoyed my shutter projects, Jen! Thanks so much for stopping by!